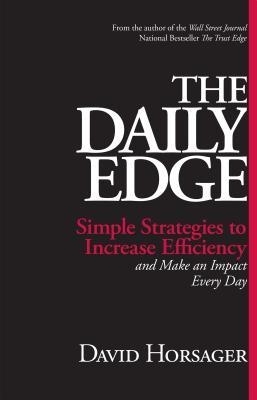 “The Daily Edge: Simple Strategies to Increase Efficiency” by David Horsager (Berrett-Koehler Publishers, $24.95). Our lives reflect our choices – many of which result from our routine, which puts responses on a Pavlovian autopilot. At work, autopilot doesn’t always work well because so many things interrupt routine and thereby reduce productivity. Horsager’s 35 tips focus on forming better habits within our routines so that interruptions minimize the damage done to output and outcomes. Tip 2. “Difference-Making Actions (DMAs)” – Before you head to work, write down your day’s most important goal and the five prioritized DMAs needed to make it happen. Your DMAs should rely only on what you must do, because you have no control over when and how others will respond. During your commute, think about how you’ll accomplish your DMAs given the context of your day’s schedule. This helps you prioritize your workday. During the day, keep your list visible to remind you of what must be done. After completing a DMA, cross it off your list. Tip 9. “Excellence, not perfection.” – Because too many outside factors affect execution, there’s no such thing as perfection. Trying to identify and deal with what-ifs plays into the law of diminishing returns. This drives paralysis analysis, which delays decisions and execution – and takes time away from other tasks. Excellence, on the other hand, deals with the “what is.” It requires concentration without interruption. Also, you have to distinguish between changes that make things better versus different. When you reach the better-versus-different tipping point, the project is finished. Tip 22. “Mind mapping” – A picture rather than a list makes it easier to envision a project’s elements. Take a sheet of paper and write down what needs to be accomplished in the center; circle it. Draw and label some major branches (i.e. thoughts on steps and potential obstacles). Add action and idea “leaves” to the branches. Add “vines” to connect actions and ideas to complementary branches. Your completed, compartmentalized mind map allows you to visualize tasks and their priorities within the project. 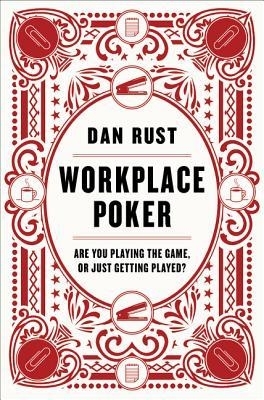 “Workplace Poker – Are You Playing the Game or Just Getting Played” by Dan Rust (Harper Business, $25.99). To Rust, it means staying true to your values while creating interdependent relationships through an understanding of the company’s business model — and the ability to toot your own horn without blowing it. Those who successfully climb a career ladder view their job descriptions as the foundation of a make-it-happen plan. It details the “what,” but not the “how.” They understand that it’s the “how” that sets them apart from others just as talented. As I read the many stories of “how,” I recalled mine: I was in the Ford Motors college graduate training program along with several newly minted MBAs. My first manager asked for a volunteer from his group of five newbies to write departmental procedures. Writing procedures wasn’t the glamorous job a new MBA envisioned. Only one hand went up — mine. Why? I understood the game within the game. Writing procedures would allow me to interact with staff, managers and executives in other departments whose operations were affected. I would learn the business model from various perspectives and people would get to know me. As I rotated through other areas, I was given front-burner projects because I knew how things worked and the people who made them work. Over time, part of my brand became “dot connector.” You won’t find that in a job description.